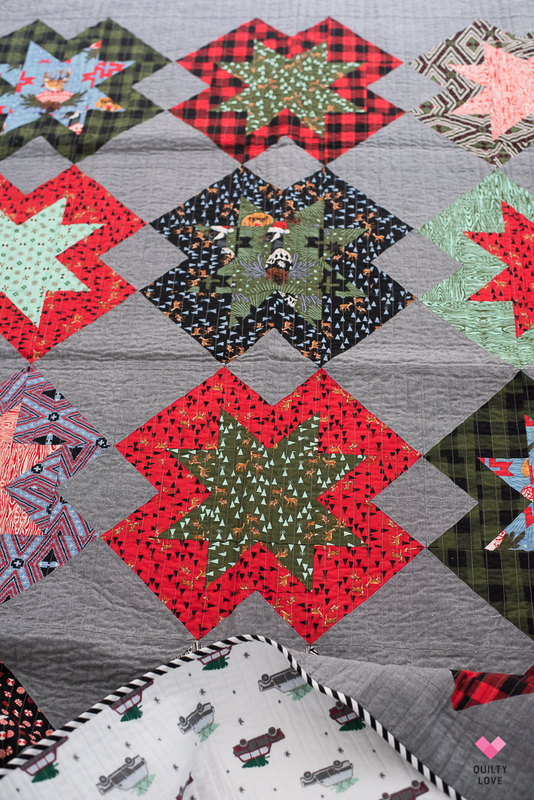 I made this quilt last year right around Christmas time. 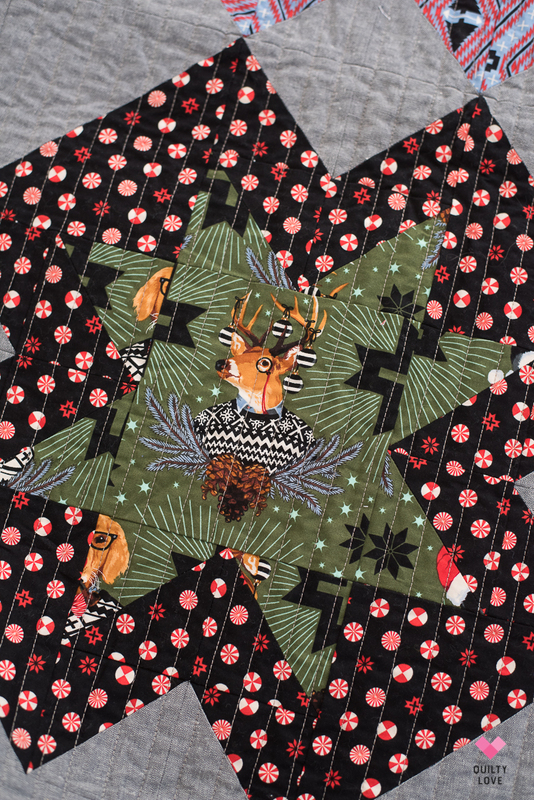 It was barely finished in time to start using it last year so we are going to enjoy it this year :) The North Star quilt pattern makes for such a great Christmas quilt and as soon as I saw these Tula Pink Holiday Homies fabrics I knew it I had to make one. 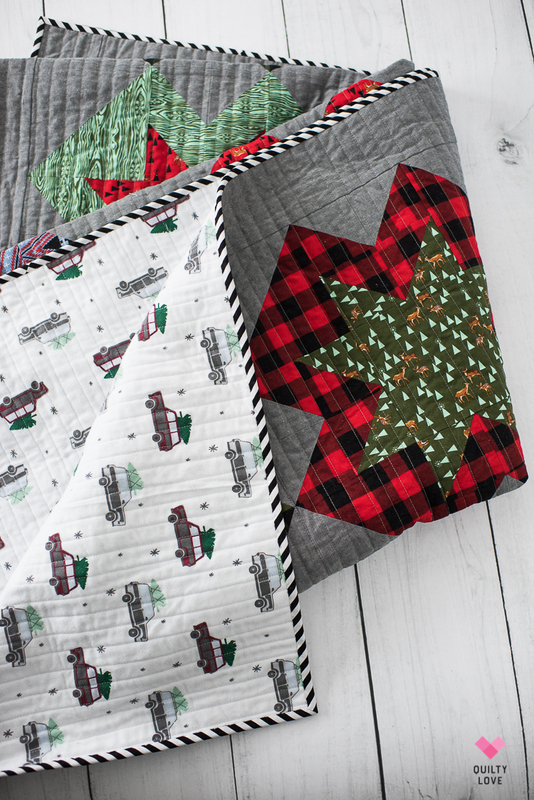 Holiday Homies has all of the classic Christmas colors I love and some fun quirky prints that I fussy cut a bit for my blocks. 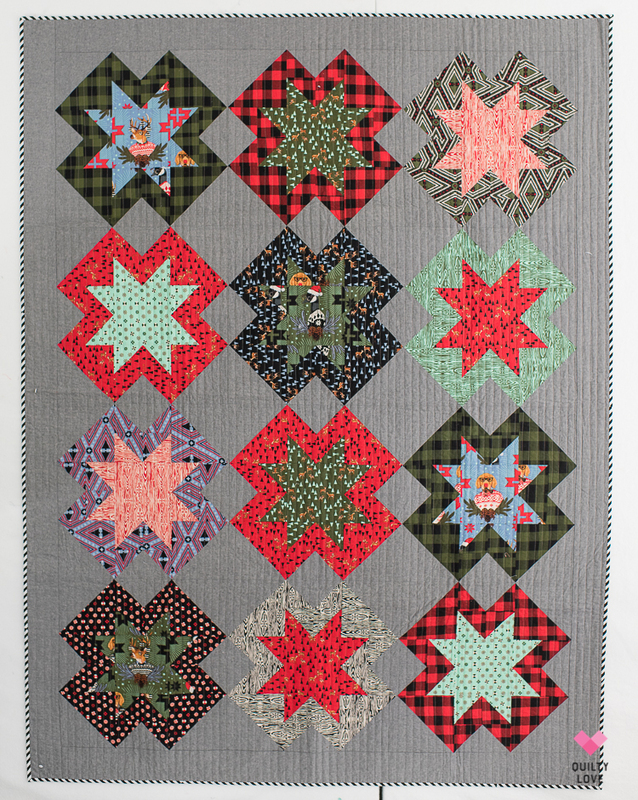 These North Star blocks are fun and easy to put together. They are nice big blocks so once you do all of the prep work the blocks themselves go together pretty quickly. 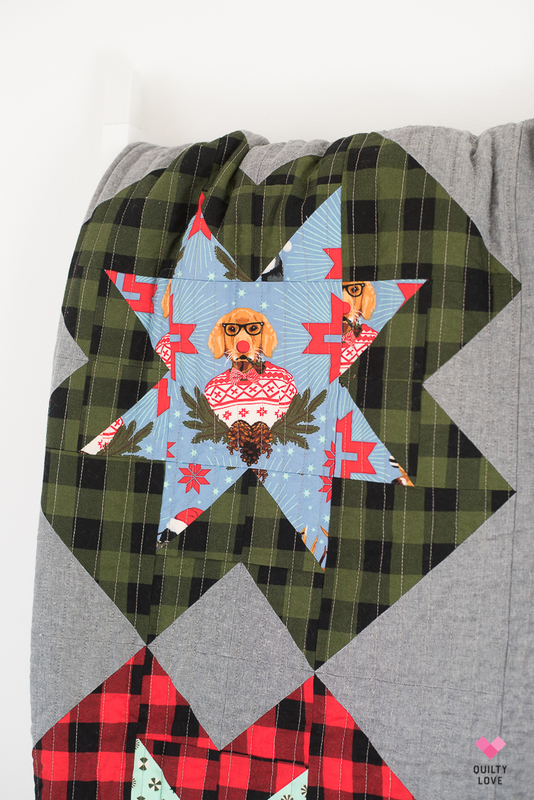 Since this Christmas North Star quilt is a winter quilt, I used Robert Kaufman Essex Linen as the background. 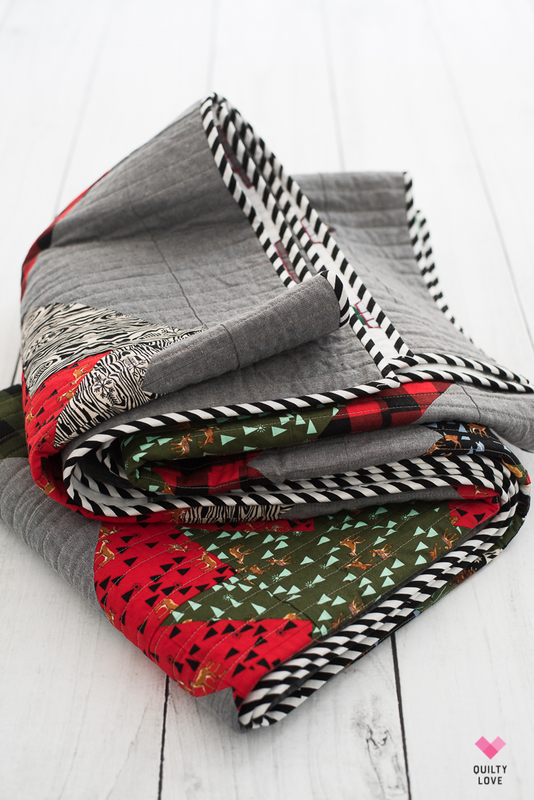 I love using essex linen on winter quilts because this fabric makes for a warm quilt! 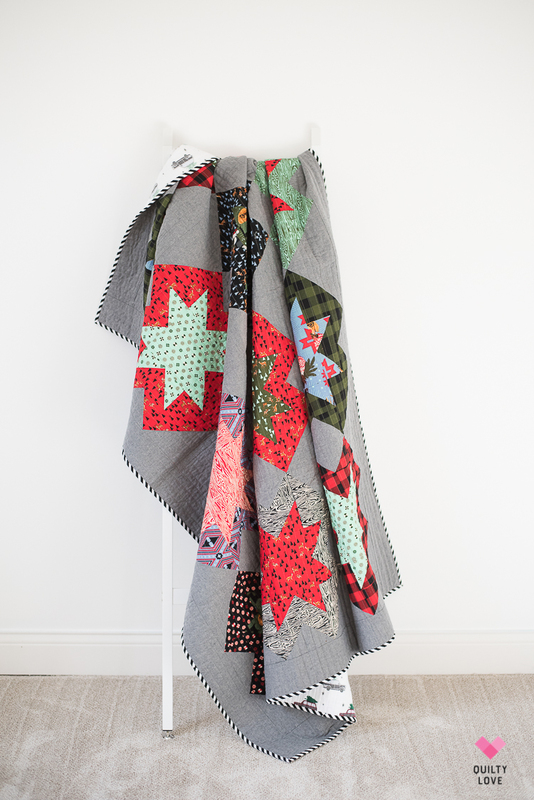 It’s a bit thicker than quilting cotton and provides the best texture ever. 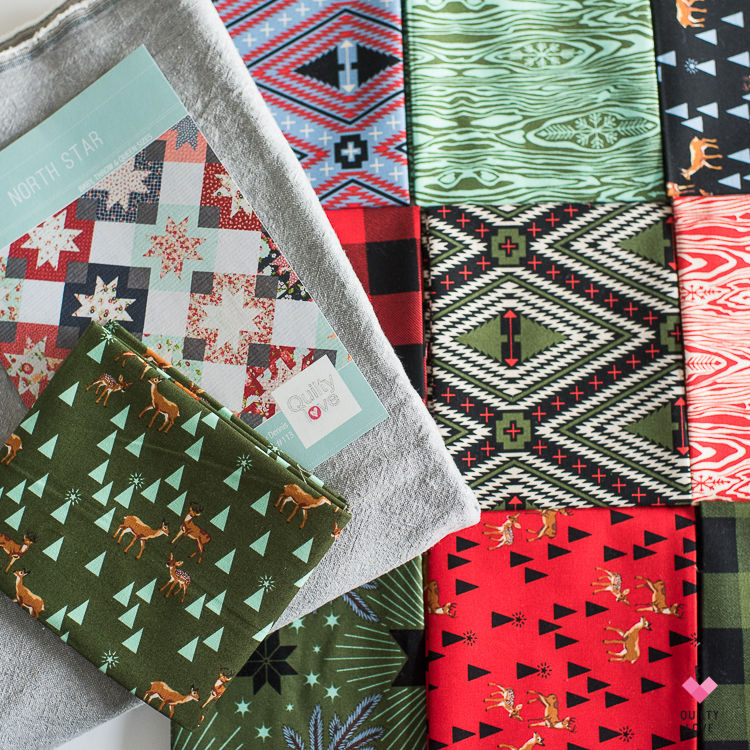 It was fun to mix and match these fabrics for each block. 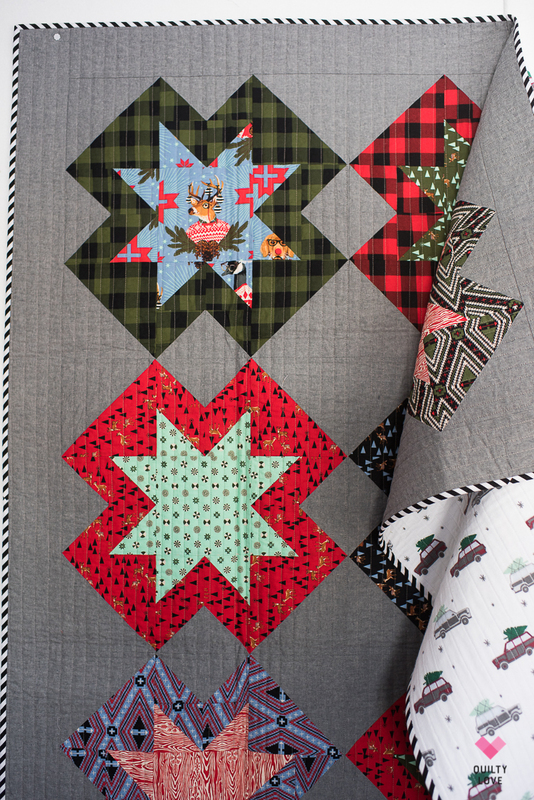 This black and red gingham print just screams Christmas and wintertime! 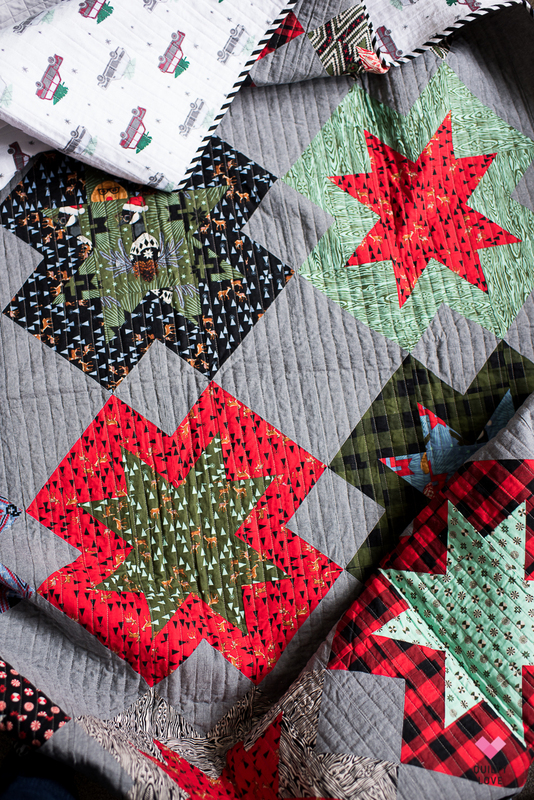 This quilt pattern uses fat quarters and includes instructions for a baby size, two throw sizes and a queen size. 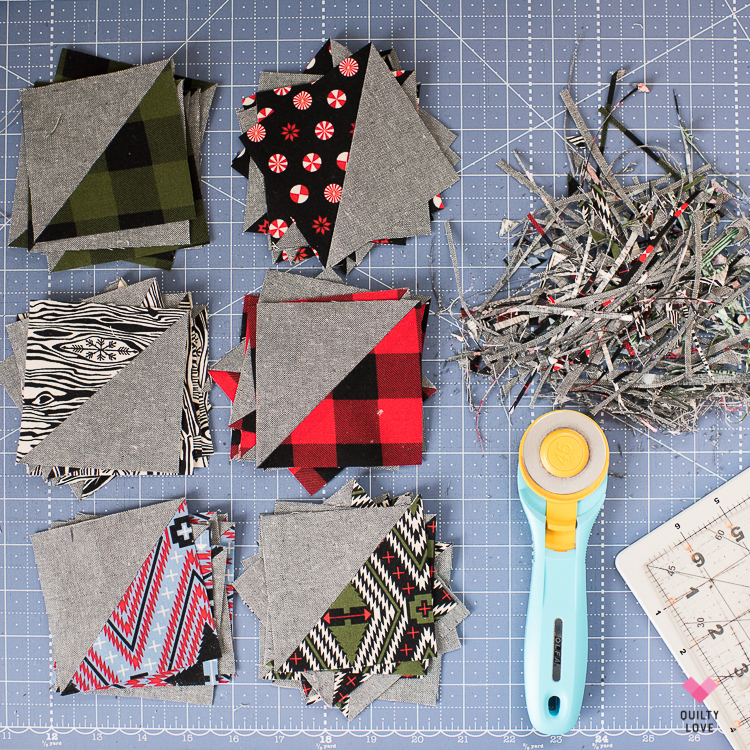 These fussy cut guys are my favorite part of the quilt. :) They are so fun and quirky. There are a few of them through out these North Star blocks. 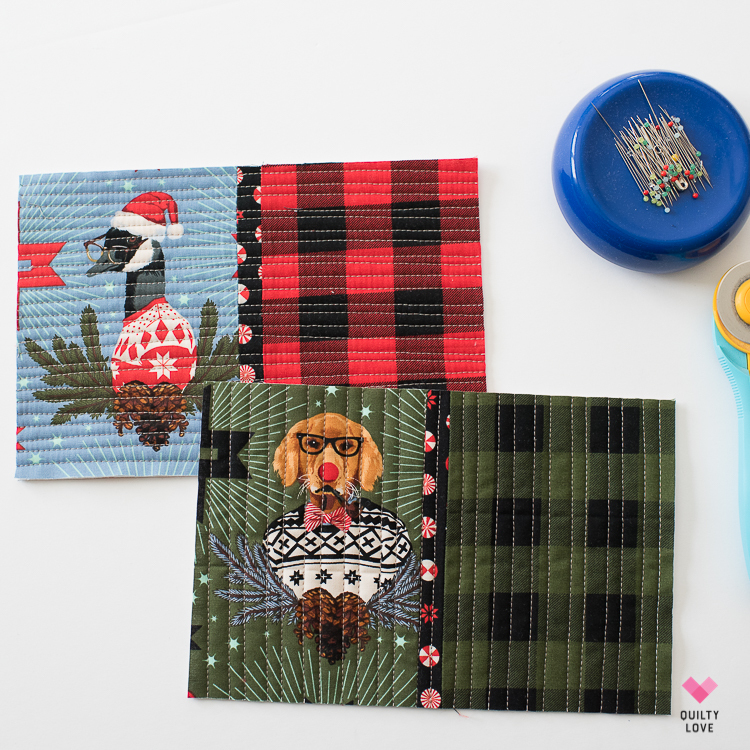 I wrote an entire post about using flannel sheets as backings here. 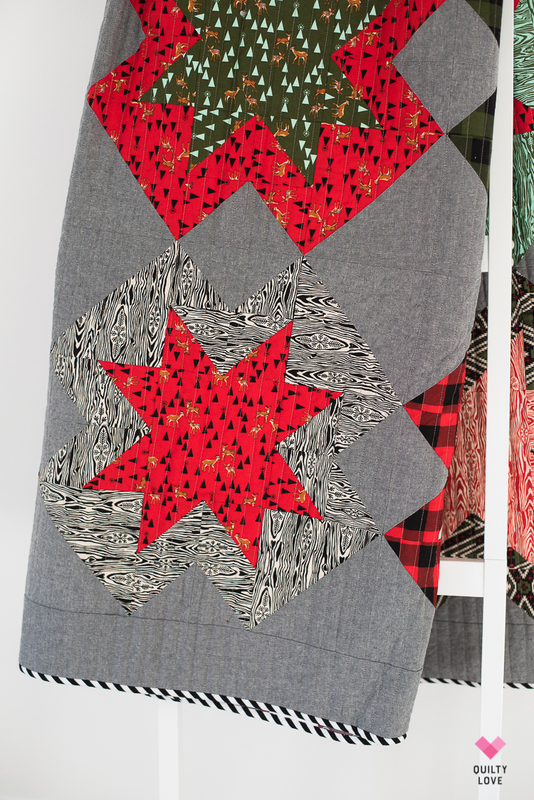 I also wrote about using Essex Linen in your quilting here. 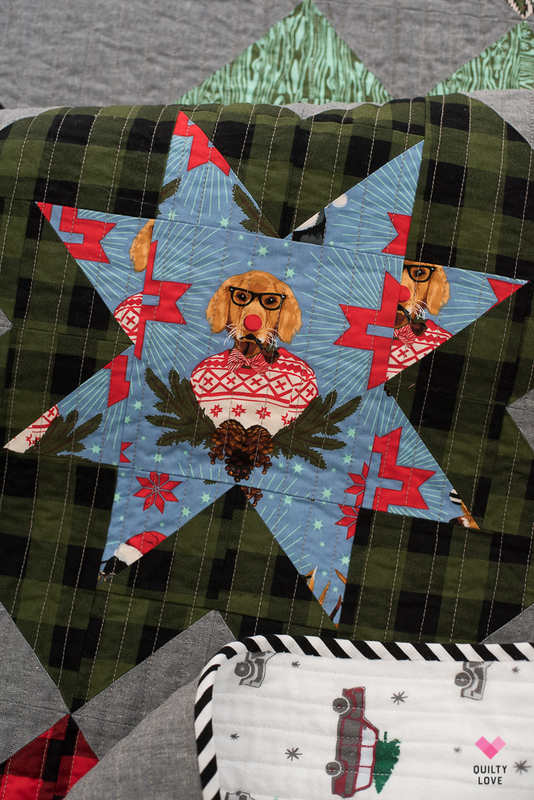 This Christmas North Star quilt is straight line quilted on my home machine using a walking foot. 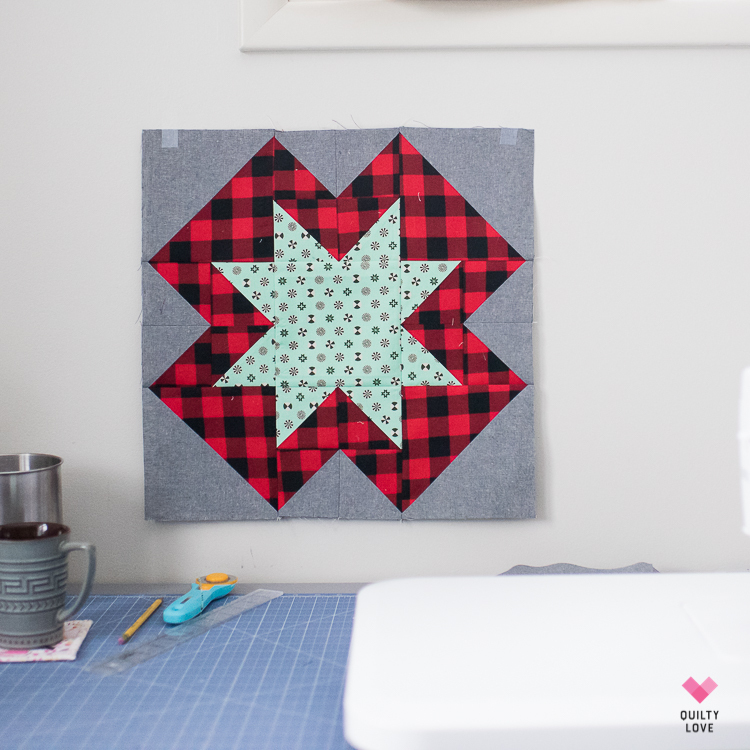 Straight line quilting is usually my go to quilting method because it’s the fastest and easiest for me to tackle on my own. 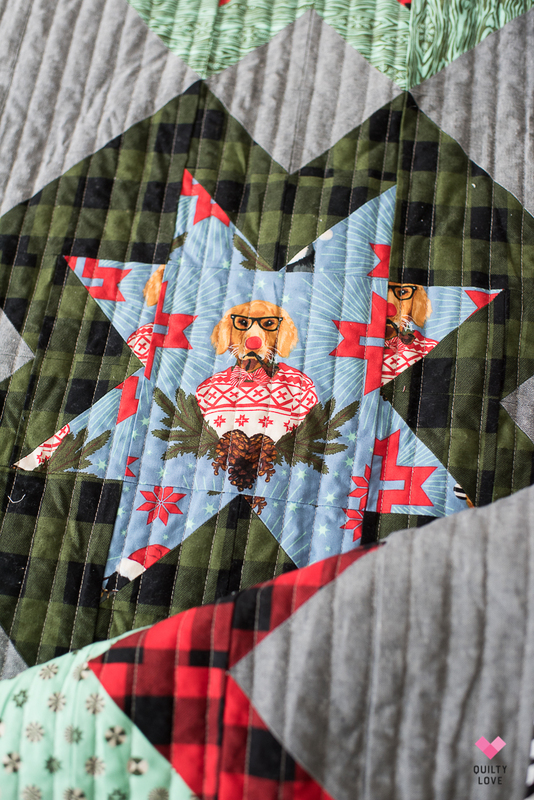 I like my straight quilting lines spaced at 3/4in. 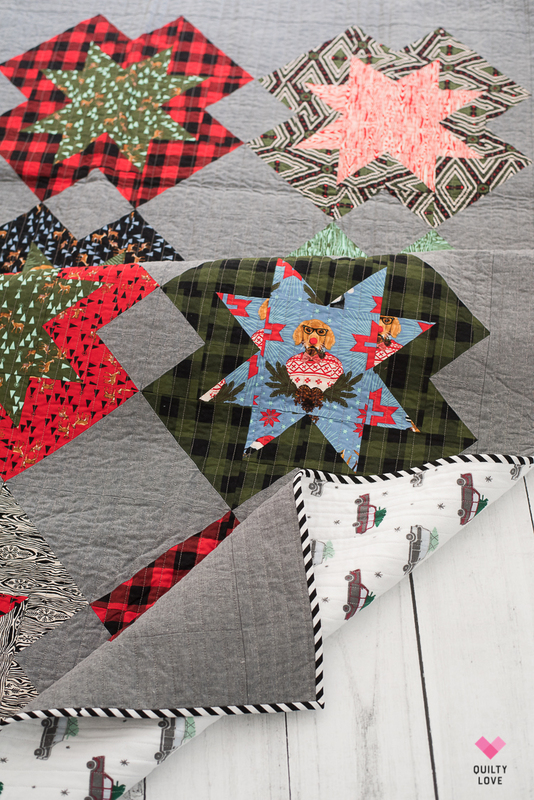 Find the North Star quilt pattern in the Quilty Love Pattern shop. I LOVE this!!! I have these sheets. 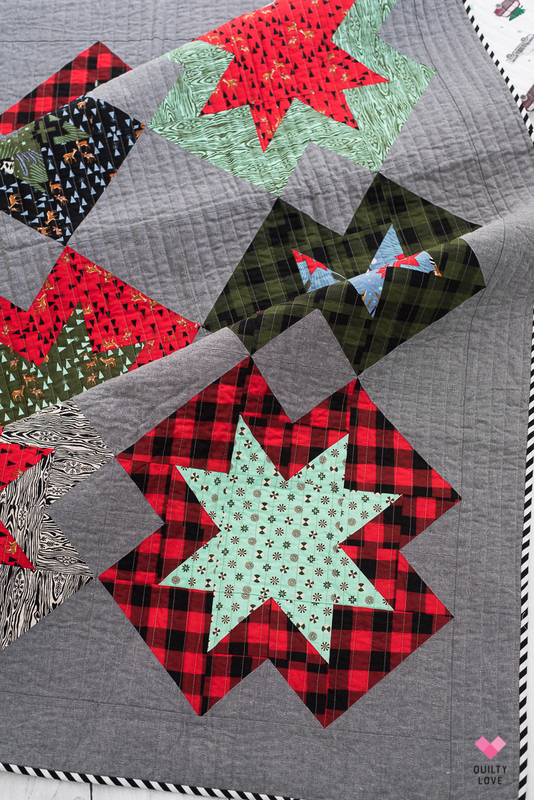 Where would I go to place an order for a quilt? 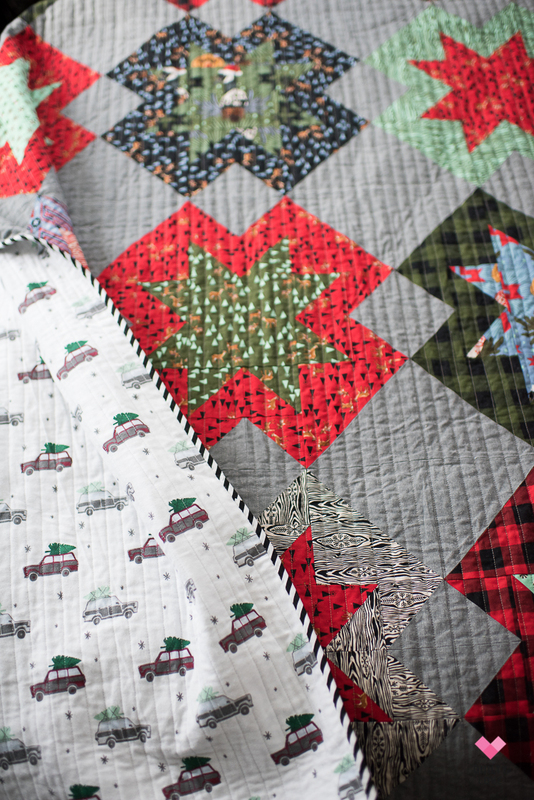 Learning how to quilt is on my to do list. Thanks!